If you have a few kids or an extended family around the home, you can easily justify a luxury SUV. They are safe, spacious and sometimes chock full of entertainment options to keep everyone happy. And while some couples and singles still like the comfort of an SUV or four-door sedan, many go for the special economy and sheer zippy drivability of a luxury coupe. If you are living that DINK lifestyle (Double Income No Kids), and want a car that simultaneously makes a statement and drives incredibly well, you have come to the right place. Elsewhere in this blog, you can read our tips for finding the perfect car for your lifestyle, but this post is all about the two-door experience. For the purposes of inclusion, we’re lumping in sports cars (well, technically one sports car) into the coupe definition. Really, what we’re looking for is how to get you the ultimate two-door experiences. These five cars, which we have currently in our nationwide inventory, represent the best experiences out there for a couple, or single person, looking to drive their dream luxury car. The modern 6-series made a big splash when it was rolled out at the Geneva Motor Show way back in 2005, and the company never lost steam in making the car better. The sleekly contoured side sills and sloping mirrors were – and still are – a big move forward, looks-wise for BMW. And under the hood, you’ve got a naturally aspirated BMW S85 V10 engine, inspired by Formula 1 cars, that sounds fantastic and delivers 500 horsepower. Visit our luxury car dealership in Vancouver to gawk at the BMW M6 – or better yet, drive off the lot in it when you lease the car. Armed with an impressive S63 twin-turbocharged V8 engine and 7-speed dual clutch transmission, this car performs extraordinarily. If there are only one or two of you in the household, and you love the act of driving, this is a sure bet. There are also a lot of bells and whistles available for the 6-series, and, luckily, the one we have in our inventory (a 2016 BMW 650i xDrive) is loaded with those extras. It has a 360 camera, heads up display, heated and cooled seats, blind spot assist, M-sport steering wheel, door sills, heated steering wheel, panoramic roof, Harman Kardon sound, executive seats, extended leather, navigation… and that’s just scraping the tip of the iceberg. 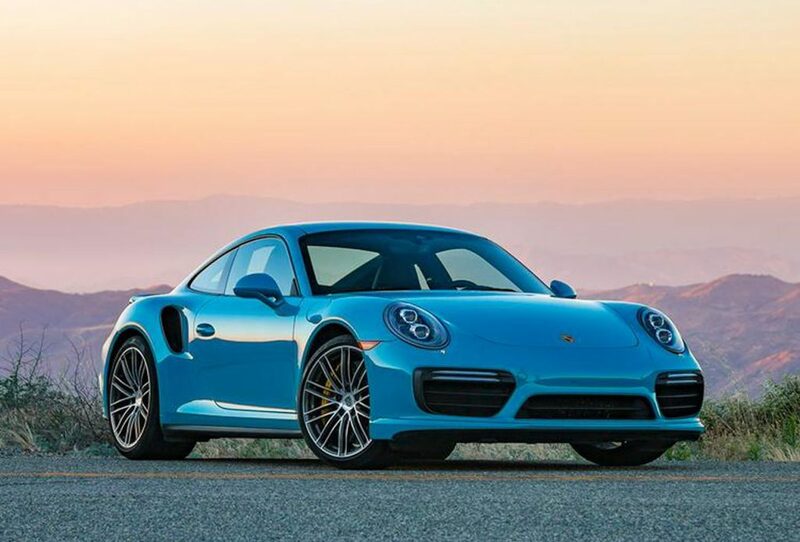 The stuff of legends, the 911 Turbo is the ultimate luxury sports car. It even topped the U.S. News’ best luxury sports car list, with the author citing its mix of elegant interior and athletic performance. It’s definitely a statement car, and expect to see a lot of swivelling heads when you drive it down the street. If anything, people will be drooling over the sound of this thing – a throaty, buzz-saw wail that is just fundamentally satisfying. We have a few 911s on offer in our current inventory: one in Vancouver, and the other two in Toronto. The one in Vancouver is a gorgeous grey 911 Turbo, available at only $1,628 a month for leasers (for a savings of $790 a month! ), and in Toronto, we have a 911 convertible and a 2016 911 GT3 RS, which is an absolutely stunning car in a powerful lava orange. Torontonians, you have to check this car out! With its Quattro All-Wheel Drive, here’s the right luxury car for a Canadian winter. Under the hood, you have a supercharged 3.0-liter TFSI V6 engine that delivers 333 horsepower and 325 lb. ft. of torque, and inside you have swanky heated Leather Sports Seats. The S5 we have is 3.0T Technik (Technik indicating additions to the standard equipment list), with a Bang and Olufsen sound system that cranks out 505 watts. All of that for $707 a month when you lease – split between you and a cohabitant, that’s less than the price of groceries for a couple weeks. Or you can check out our luxury car subscription service in Vancouver and drive an Audi S5 month-to-month for a low monthly cost. “Some Legends Are Real”, reads the ad copy for the Audi R8, a coupe that shares 50% of its parts with the R8 GT3 LMS racecar. It shows: from the aerodynamic, track-built body to the 525hp 5.2L V10 engine, this is a racecar that just so happens to be street legal. The main thing separating this car from a race car, however, is the vast array of luxury add-ons, like heated leather seats, the Bang and Olufsen sound system and superior climate control. For the couple in a hurry, this is your choice (although, obviously, we don’t condone speeding!) Come check it out in Vancouver, where a 2010 model in amazing condition is leasing for $1925 a month. 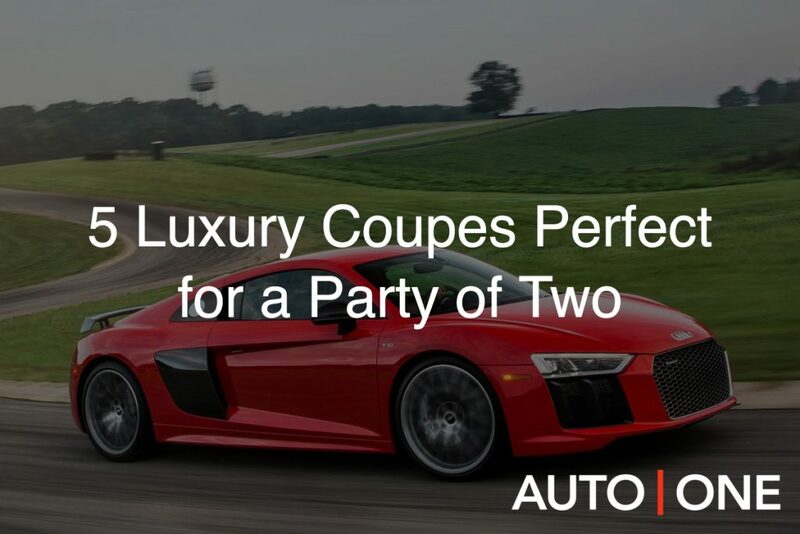 In case you’re new to the blog, let’s mention the couple great options for getting behind the wheel of one of these luxury cars. First, the more traditional option (buying aside) would be to lease your car. Above, for many of the cars here, we’ve listed the monthly lease price, which are industry leading, owing to the fact that we are the bank. Your newer alternative is a car subscription service we recently rolled out, called Drive. The service, which you can easily sign up for in a few minutes through the Drive app, lets you lease cars month-to-month, swapping or keeping the car as you see fit, all for a fixed monthly payment. It’s perfect for couples who travel a lot, or those who just need a car seasonally. You have access to a huge fleet of amazing luxury cars, and you don’t have to worry about committing to any one of them. If you don’t have a big family, these cars make the perfect luxury vehicle. Even if you do have a big family, but want a vehicle to call your own, away from the fighting and juice boxes of backseat kids, these are your vehicles!